The first of March is the official start of fly fishing season for us in Montana. Our Montana fly fishing guides are back on the water, fishing licenses have to be renewed, ski racks are put away, and drift boats are hitched and ready to go to the river. It’s still normal to get snow through March but sunny days and warmer temperatures start to signal the end of Winter. By April our fly fishing season is in full swing with guided trips going out daily, happy fish eagerly rising to early hatches of Midges and Blue Winged Olives, and life is good when the wind is down. In May the weather really starts to stabilize, the fish start to spread out of their winter lies, and the fishing can be some of the best of the year. Spring fly fishing in Montana can be a special experience. Like the Fall, crowds are thin, the air is cool, wildlife is out and about, snow is in the Mountains, and the trout are happy as can be. 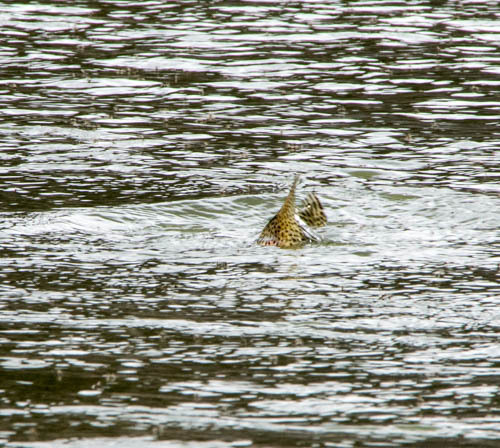 Low pressure and cool water can make for red-hot fish fighting action. This time of year we are usually guiding on the Yellowstone River, the Madison River, the Paradise Valley Spring Creeks, and the Missouri River. All are great fly fishing options this time of year. Dates and lodging for guided Montana fly fishing on the Missouri River in May book early and fast so consider booking well in advance. If you are interested in Montana Spring fly fishing trips check out our Winter/Spring Guide Trip Special. Same great fly fishing experience, at a price that works for everyone. Fish On!